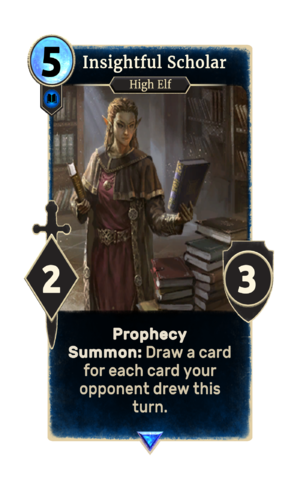 Insightful Scholar is a rare Intelligence creature card. It is part of the Heroes of Skyrim expansion. "Perhaps we need to adjust our methods." "Time to test my theory!" This page was last modified on 27 February 2019, at 22:51.